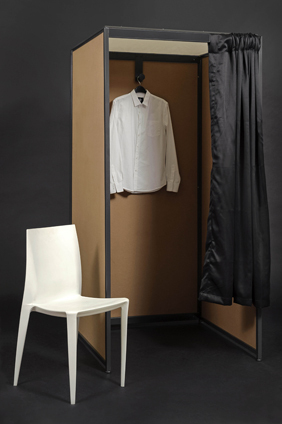 We’ve developed a change room system which is modular, portable… and very strong. For several years we’ve hired out a change room system that is rather unique… modular, safe and strong. Retailers and their customers take great comfort knowing the doors won’t fly open and the walls won’t collapse ! That system has been installed at many pop up events around Melbourne, and beyond – it is a very popular product for instant retail. But a good number of our pop up customers asked if they could buy the system instead of hiring it ! 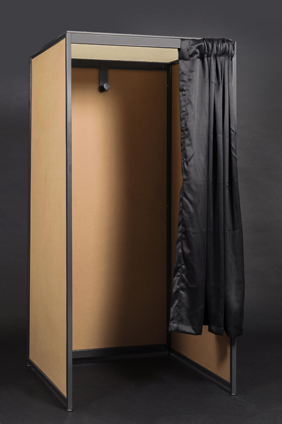 Sometimes they intend to use the rooms at multiple events, but often they’ve done their research and discovered that our change rooms for sale system is one of the best on offer – available off-the-shelf ex. Melbourne ! The components lock together quickly to form one or two (or more) rooms, easily adapted for different configurations and colour schemes.